Hey, Mom? Did You Know... - . "On FIFA, if you buy coins and it just comes with one account you have to transfer the coins by selling the player but it's really hard to do that because there were no price ranges - it was easier to do that - transfer coins between accounts and also you could also sell a bronze player for 15 million and then the 15 million coins would get transferred to your other account." 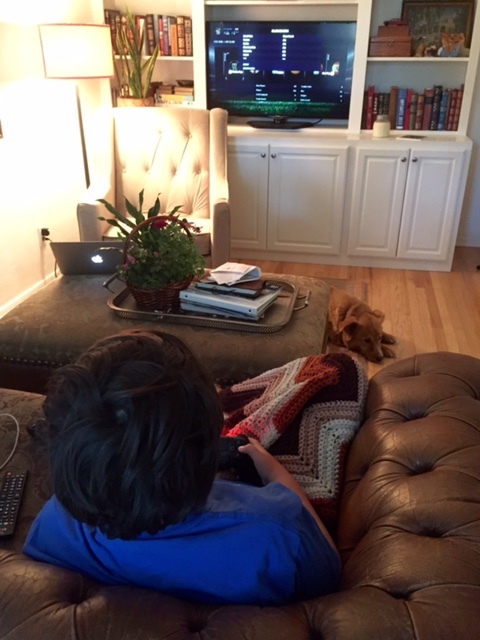 Hearing the details of his soccer video game makes my eyes glaze over almost instantly. I remember something I read about how if you want your kids to share the "important" things with you, listen to the "unimportant" details as well because all of these seemingly mundane details are important to them. In the future, if I want to hear about the bigger-to-me topics like girlfriends or boyfriends, or moral questions, or even what he does with his time away from me, listening now is the way to build that. So, come at me with your questions about FIFA trading systems and player ratings. I know about them. I've been listening. No matter how often Owen tries to school me on the Power Rangers, I simply cannot listen. Sometimes I regret making LISTEN my brand. These times, specifically. Good on you, mom. Yes. When Auggie talks about the new defense tactics brought to "Destiny" I remember that it's on Tuesdays, at noon, where the specials occur. I always remember to ask what he was able to capture on Tuesdays. His face lights up every time.